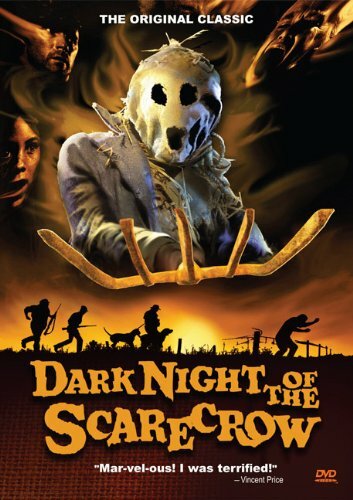 Digi-Schlock: DARK NIGHT OF THE SCARECROW (VCI DVD) – Schlockmania! Historically, the DVD format has been weak on issuing made-for-television movies. During the VHS days, t.v. movies were frequently issued, albeit often in deceptive packaging that tried to make them look like theatrical efforts. Once DVD’s became the norm and more was expected from a home video purchase than just a good presentation of the film, only certain miniseries or other prestige items of that ilk made the cut. Thus, it is nice when any company uses the capabilities of the DVD or blu-ray formats to do right by a film originally created for television. On that note, VCI has a disc to be proud of with their recent DVD edition of Dark Night Of The Scarecrow. The video transfer sticks to the 1.33:1 ratio of the original t.v. presentation but the result is sharper and has a richer color scheme than the Key Video VHS that a lot of fans of this film are used to. It’s also worth noting that this transfer restores a shot to the finale that was cut from the broadcast version. In terms of the audio, the original mix is included as well as a new 5.1 remix. The latter doesn’t do radical things with the mix but offers some extra rear-speaker activity with sound effects and spreads out the eerie Glenn Paxton score nicely. There are also a few extras thrown in to supplement the presentation. The most notable is a commentary track featuring screenwriter J.D. Feigelson and director Frank DeFelitta. The pair often gets bogged down in admiring the onscreen action but Feigelson makes a decent effort to press DeFelitta for recollections and trivia as well as sharing his own. It’s worth a listen for fans because it offers some interesting anecdotes: for instance, the role of Otis Hazelrigg was originally developed with Strother Martin in mind and the same location was dressed different ways so it could serve both as a courtroom and the school room for a Halloween party scene. The one other extra is a t.v. spot that promoted the film’s original telecast. It’s only a minute in length but it offers a heady nostalgia rush for viewers of a certain age. It starts with a great, optical effects-crazed intro (remember when the networks used to do those?) and then leads into a short but sweet hard-sell trailer complete with ominous narration. It’s great fun and a nice little inclusion. In short, this is a nice presentation of a film that few fans imagined would ever make it to DVD. A lot of credit must also go to screenwriter J.D. Feigelson, who spearheaded the effort to remaster and reissue the film for DVD. 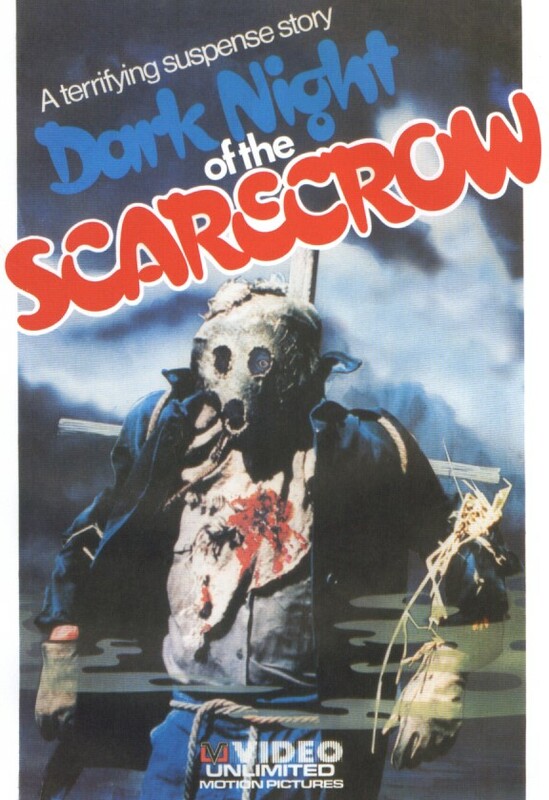 He and VCI have created a nice way for fans new and old to relive the spooky joys of Dark Night Of The Scarecrow. Thanks for the update! That’s great news and I wish you the best of luck with the new blu-ray.